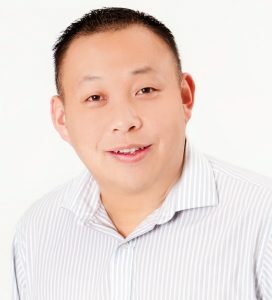 Chris Chuang is co-founder and CEO of Republic Wireless, a pioneering WiFi first mobile service provider that has repeatedly been ranked #1 in the pre-paid category by Consumer Reports. Republic spun out of Bandwidth in late 2016. Chris joined Bandwidth in 2008 and over his time there played a variety of roles including Chief Product Officer, Chief Strategy Officer, and mostly recently Chief Operating Officer. Prior to joining Bandwidth, Chris led Corporate Development and Strategy for Motricity, a mobile content platform provider that raised nearly $500M of capital and powered billions of dollars of mobile content transactions for the wireless carriers. Earlier in his career, Chris worked in venture capital at Technology Crossover Ventures and in management consulting at McKinsey & Company. Chris attended Stanford University, and currently resides in Raleigh, NC where Republic is headquartered today.